One of the most fundamental premises of photography is that of focus. This is perhaps the most obvious thing to a viewer as it determines what is most clearly portrayed in an image. An even focus, where the entire frame is sharp, can have a very different effect on a viewer than an image in which only one small section is in focus. Learning the basics of focusing is vital for any photographer. In order to understand focusing, you must first understand depth of field. This is an important concept in photography, and relates very closely to aperture, which is covered in more detail elsewhere on this site. The term ‘depth of field’ refers to the distance between the nearest and farthest point of sharp focus available. In this way, the depth of field determines what will be sharp and what will not. Depth of field is controlled, in basic terms, by the aperture settings. As is described elsewhere, the aperture describes the size of the opening created to let light into the camera and onto either the film or image sensor. Aperture, however, also determines what portion of your image will be focused. A high f-number (say, perhaps, f/25) will produce a small opening for the light. This will also, however, increase the size of the portion of the photograph which is in focus. 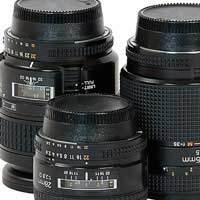 An aperture of f/25, therefore, will produce a larger depth of field than an aperture of f/2.8. The drawback here, however, is that increasing the f-number (and therefore decreasing the size of the opening) also results in reducing the amount of light available to make the exposure. In this way, the scope for producing images with a very narrow depth of field is limited as the photograph will soon become under-exposed. To counter this, the photographer can use other variables such as increasing the shutter speed or light sensitivity. Depth of field and its relationship to aperture serve numerous artistic purposes. In order to understand these it might be useful to look at some of the common presets offered on consumer digital cameras. The photographer will generally be presented with a landscape and a portrait preset, with the difference between the two revolving around their relative aperture settings. In a landscape image, it is generally presumed that the photographer would like for the entire scene to be in focus, without any obvious emphasis on a certain part of the frame. In order to achieve this, the photographer would use a high f-stop (resulting in a narrow opening) to create a wide depth of field and therefore a large area of focus. If, on the other hand, you are taking a portrait, it is likely that you would want the subject of the portrait to be in focus while their surroundings are not. Generally the subject is in the foreground, and so a portrait setting would probably auto-focus and meter for the object nearest the lens, and create a large opening in order to produce a narrow depth of field. Even if your subject is not the closest thing to the frame, it is still possible to achieve this effect; maintain a narrow depth of field, but focus manually to ensure that the desired part of the frame is sharp.